Not only did Hong Kong open my eyes to the natural beauty of the state and surrounding area, it also threw me into the world of having to haggle at Temple Street Market, Stanley Market and the Ladies’ Market in Mong Kok. Less common in in the West, haggling is the skill of reducing the cost of souvenirs to a mutually agreed price between the buyer and the vendor. Particularly prevalent in Asian countries, what may seem like pennies in Britain, may mean the world to the family of the seller in other countries. 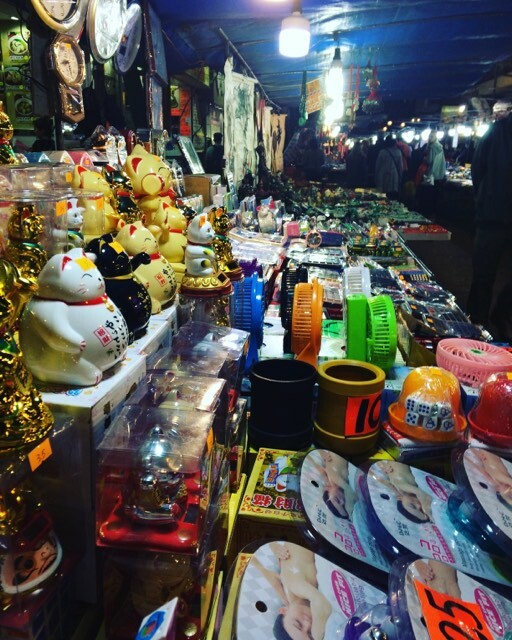 The ability to haggle is one of the essentials when visiting the markets of Hong Kong. A successful ‘haggle’ can turn a rubbish deal into a bargain and there’s no better feeling than halving the price of an object. As a stereotypical tourist, everywhere I go I collect key rings. Probably the most popular low cost souvenir, the markets in Hong Kong were filled with them, making it more difficult to remember the price at each stall. When in an unknown location it’s difficult to get your bearings and therefore impossible to remember where the best price is. Although it has to be said that, as most of the markets sell similar items, the price usually much the same. I am slightly confused as to why the vendors are so desperate to sell their stock, but by walking off, or threatening to, the vendors that I dealt with often panic and knock off huge amounts of money. Of course, they will still make a profit but it is possibly the thought of losing trade to another vendor. Use this to your advantage. It’s a sinking feeling when you suggest paying HK$100 for a plastic snow globe but by then it’s too late to review the price. Many people take the tactic of halving the price first initially and bargaining from there. As many vendors have caught on to this tactic, they have considered this in their original asking price for the item. Gaining local expertise is a sure way to avoid getting ripped off. Of course, make sure this ‘insider’ is trustworthy or else this will just increase your risk of paying extortionate prices. Their knowledge will inform you of an estimated value of the item allowing you to make a calculated decision as to whether haggling with the vendor is worth it. as they are desperate for a sale, if you show a slight interest in the product, it will show the vendor that you need convincing before making a purchase. They are well aware of the possibility of buying from another stall. By not showing a definite interest, you’re more likely to secure a better discount.